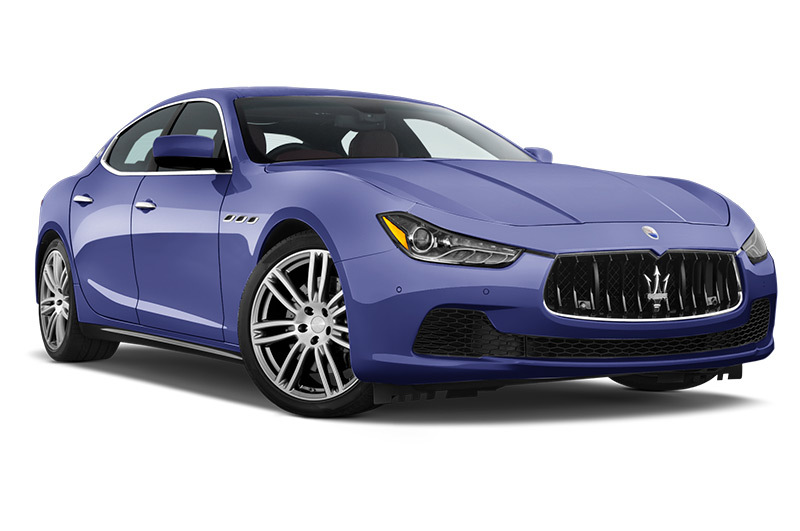 The Ghibli is Maserati moving into the territory where the prestigious Italian luxury brand becomes an attainable option for company car-driving executives. The stylish executive saloon comes with an engine choice of two petrol or one diesel and a huge range of personalisation options to create exactly the car that the individual is desiring. 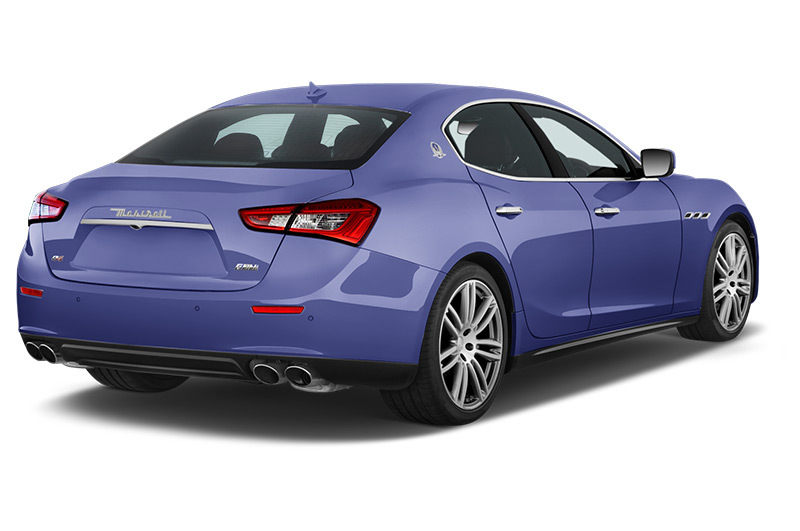 What is the Maserati Ghibli like to drive? The 275hp 3.0-litre diesel engine, the sensible choice for company car drivers, is refined and pacey, and works well with a standard eight-speed automatic gearbox that shifts fluidly. It provides impressive acceleration from 0-62mph of just 6.3 seconds, which is within a second of the more powerful 350hp petrol engine. It pulls well from low revs and the noise can be improved with a press of the sport button that makes the exhaust note more prominent, as well as quickening the gear shifts. Longer journeys are easy for the Ghibli, thanks mainly to the sumptuously comfortable seats, and the rear-wheel drive saloon has plenty to offer in twistier territory, with lots of grip, good traction and impressively little weight transfer as it negotiates bends. What engines and gearboxes are available? Need more information on BIK (benefit in kind) and CO2? Then why not try our calculator to help you work out your running costs. 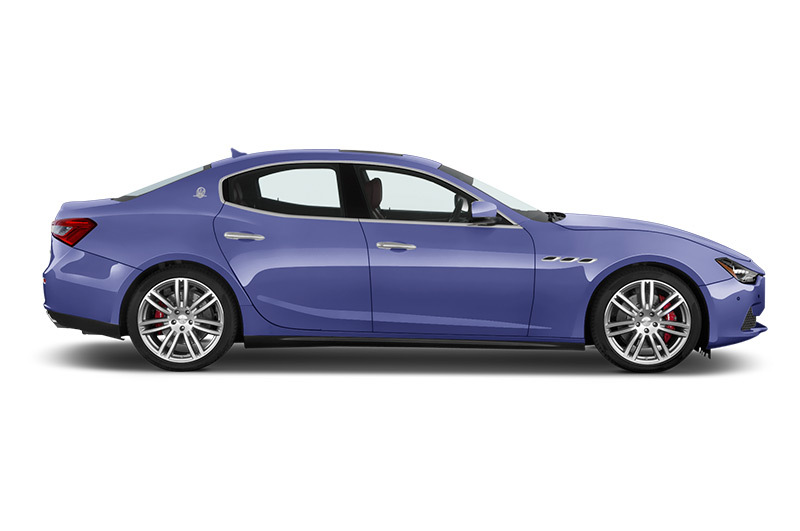 It’s very simple with the Ghibli – Maserati offers just three engine options and all come with the same single specification and a range of options including premium personalisation features. The diesel is the most sensible choice for company car drivers, especially those covering higher miles, thanks to its big efficiency advantage over the more powerful petrols. The standard kit level is excellent, though luxury options packs go up to the £7,695 Sport Carbon Package, should a driver want to be extravagant. The leather interior can be upgraded in a variety of ways, and other options worth adding are the £370 heated seats and the 18” collapsible spare wheel for £295. Maserati Ghibli Interior – what’s it like? The interior, along with the exterior styling, is probably the Ghibli’s biggest draw. The comfortable and classy leather seats make for a welcoming introduction, there’s a generous coating of high-quality materials and finding a comfortable driving position is no problem. The infotainment system has been recently improved and is now much more responsive and better laid out than on previous Maseratis. Rear passengers will find plenty of legroom, and the boot has a capacity of 500 litres, which is within reach of all the major rivals. Alternatives include higher end derivatives of the Audi A6, BMW 5-series, Jaguar XF, Lexus GS and Mercedes-Benz E-Class. Appealing for its styling, character and individuality, the Ghibli gives executives a route into a luxury Italian brand, and Maserati’s first executive saloon stands up to scrutiny against premium rivals that offer some of the best cars in the business.